Home Uncategorized FRESH FACES: ARE TENNIS’ FABULOUS, FEARLESS TALENTS POISED TO TAKE OVER? Is Stefanos Tsitsipas and the new-breed on the brink of greatness? Bianca Andreescu, who started the year at No. 152, scored a shock Indian Wells triumph. Two other young Canadians – Denis Shapovalov, 19, and Felix Auger-Aliassime, 18 – were the talk of the town. They rocked Hard Rock Stadium en route to the Miami Open semis – before being put in their places by elders Roger Federer and John Isner. For some, the future is now. Just 14 months ago Naomi Osaka was another wannabe, ranked No. 44. Now, she’s reached No. 1 and become an international icon who adorns countless magazine covers. Nike just went to the bank to sign her up, and many say Osaka will be the face of the 2020 Tokyo Olympics. Some have also climbed high in the rankings. German Alexander Zverev is No. 3. Others are lurking, ready to pounce. Americans imagine a dreamy future for French Open junior champ Coco Gauff, 15, and Amanda Anisimova, the 17-year-old Jersey gal who made it to the fourth round of the Aussie Open. Some suggest previous greats. We feel in Auger-Aliassime the presence of the eloquent and powerful Arthur Ashe – it’s almost eerie. Rising Frances Tiafoe is an appealing original. 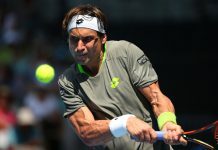 His forehand is unique, his smile beams, he adores the big stage, he lights up the locker-room – he makes it fun. Some new players go on deep-think adventures. The philosophical musings of Greek seeker, No. 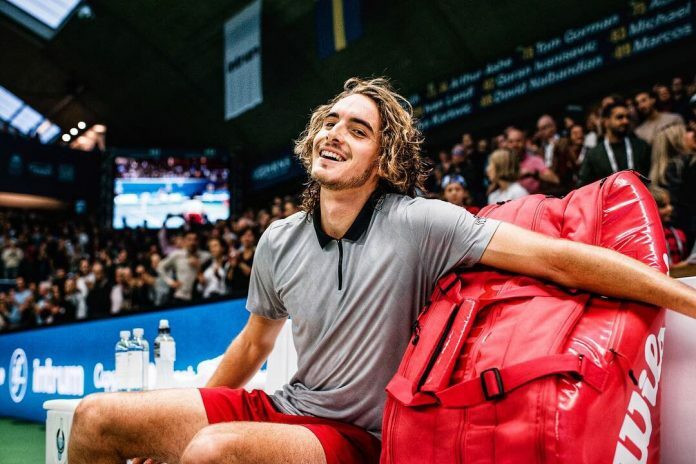 8 Stefanos Tsitsipas, provoke. Others, like Sofia Kenin, have a laser focus. “It’s the groundies stupid, it’s the groundies.” Some prospects tower. Reilly Opelka is 6’11”. Ash Barty is 5’5”, Shapovalov is an even 6’0”. The Next Gen players come from all over the globe, from Belarusian Aryna Sabalenka, Ukrainian Elina Svitlona and Croatian Borna Coric, to Australians Barty and Alex de Minaur. Surprisingly, cold Canada has three hot prospects. Many emerging stars have fascinating backstories. Ash’s father is an Aussie aboriginal. Tiafoe’s parents fled a civil war in Sierra Leone and he lived with his twin brother in his father’s modest workspace at Maryland’s Junior Tennis Champions Center. A common thread is mixed heritage. Auger-Aliassime’s mom is from Quebec, his dad’s from Togo. Osaka’s parents are Haitian and Japanese. Nick Kyrgios’ parents are Greek and Malaysian. Canadian Andreescu is of Romanian heritage. Many like Zverev, Tsitsipas, Shapovalov, Kenin and Anisimova have Russian roots. Russia itself has two young blue-chip stars, Karen Khachanov, No. 12, and Daniil Medvedev, No. 14. Speaking of Russia, it’s been 15 years since a teen won a Slam – Russian Svetlana Kuznetsova claimed the 2004 US Open. Never mind that for decades giddy teen phenoms like Graf, Seles, Chang, Hingis, Serena and Sharapova seemed to rule the roost. Still, it could be a good while before a teen claims a major. Osaka and French champ Jelena Ostapenko had just turned 20 when they prevailed. Of course a whole generation of men’s players – “the lost generation” if you will – has faltered. The dominance of the Fab Five – thirty-somethings Federer, Nadal, Djokovic, Murray and Wawrinka – was all but seamless. Shortfalls by Kei Nishikori, Milos Raonic, Grigor Dimitrov, Dominic Thiem and others were the rule. Stand-alone wins by Juan Martin del Potro and Marin Cilic were the exceptions. The Fab Five and Serena can’t prevail forever – or can they? A dazzling new generation is hungry. They’re determined to wrest control. Still, tennis wonders, when will their day truly arrive?